The US Special Representative for Afghanistan Reconciliation, Zalmay Khalilzad, jubilantly tweeted on 7 April 2019, “We have momentum now with Afghans working together across party & society. Men & women, young & not-so-young, all will join in intra-Afghan dialogue in Doha & eventual negotiations.” This statement of relief came after Khalilzad’s extensive two-day visit to Islamabad. 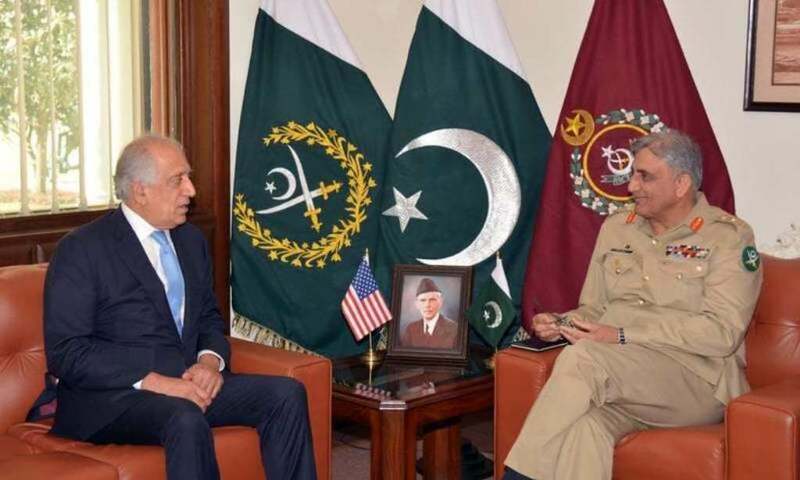 It is clear that the Bajwa-Imran regime granted the essential facilitation for Khalilzad’s desperate efforts to shore up the colonialist puppet regime in Kabul. Despite its claim to secure the “national interest,” the regime’s facilitation is akin to dropping a hammer on one’s own foot. The facilitation prevents the collapse of the US proxy regime, before the relentless advance of the Afghan Taliban. As such the invitation from the American kuffar to enter their system of kufr in Kabul is a cunning ploy to prevent victory for Muslims and Islam. O Muslims of Pakistan in General and their Intelligence and Ulema in Particular!